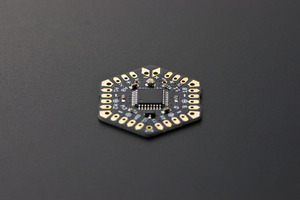 CheapDuino is the most affordable Arduino compatible processor in the world. The price for each cheapDuino is almost 1/5 price of the Arduino UNO R3. It aims to provide an extremely low-cost solution for any disposable projects, such as DIY projects, workshop, gifts projects, E-Textiles and education. For those students from second or third world countries who can not afford the official Arduino, cheapduino opens the door to the physical world. 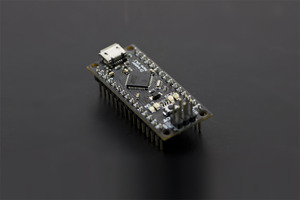 The cheapDuino is integratd with an ATmega8 microcontroller and Arduino NG. They enable cheapDuino to program it directly with Arduino IDE via the FTDI programmer or USB Serial Light Adapter. 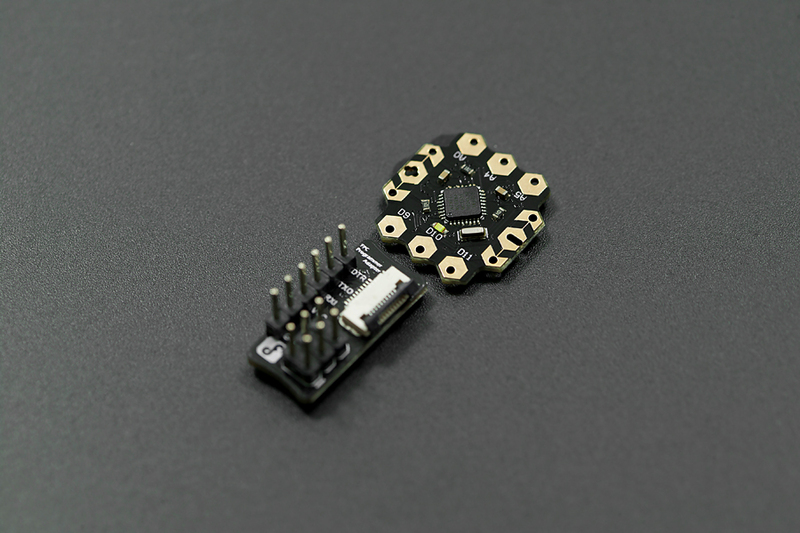 The cheapDuino is powerful in compact size, which is only 2cm x 2cm dimension. 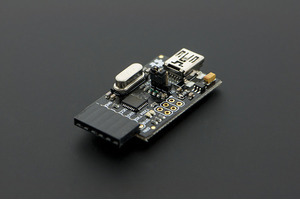 Although the cheapduino has extremely low price tag, we do spend lots of time to complete its applicability. 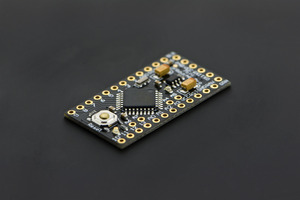 The processor has 3 pwm digital pins, 3 analog pins and power supply interface with hexagonal pads around the board, which make it really easy to solder for the beginners. 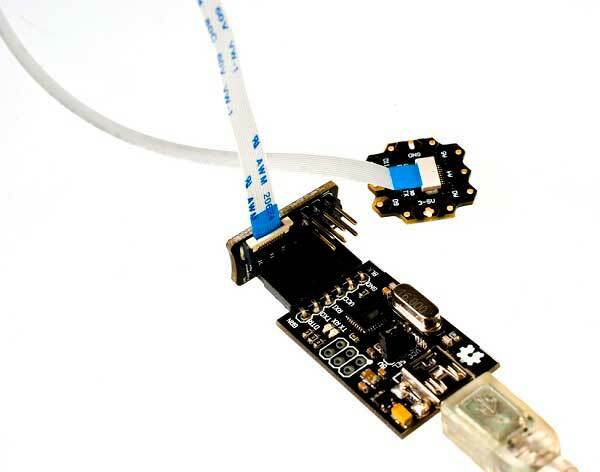 Of course, the I2C interface and serial port is also available to extend the 2 wire peripheral devices directly. The adoptation of micro FPC connector saves extra space compared with regular Arduino USB interface. 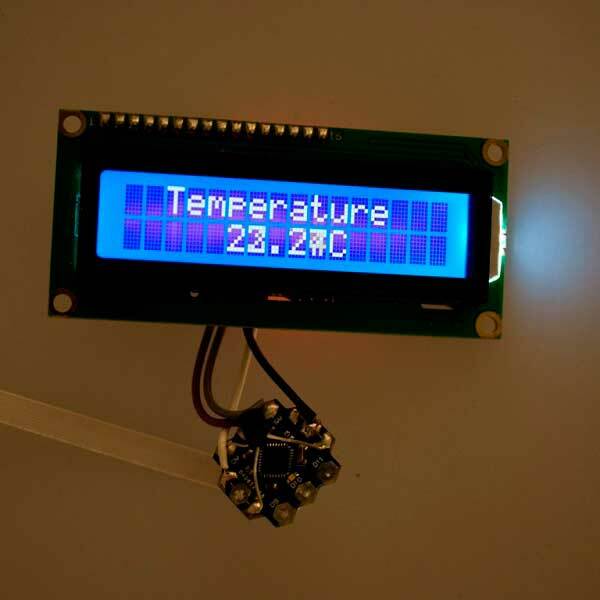 "Cheapduino - Not just cheap"
The picture aside shows a simple temperature display application based on cheapDuino, Arduino LCD Display Module and temperature sensor. 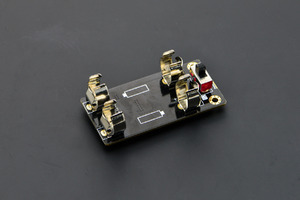 This product was awarded the Editor’s Choice at Maker Faire Bay Area 2015.